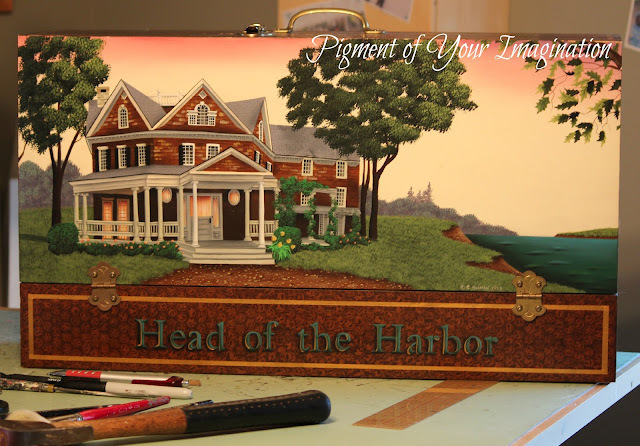 How many of you ladies out there have your very own toolbox? I painted this folk art piece back in 1998 and haven't been able to part with it. And yes, I do keep my tools in there. In fact I just used that hammer to make a project for my daughter and son in law. I'll share it with you after they've seen it. I do have my own toolbox. It's not nearly as wonderful as yours! I too have my own tool box, but it is not a lovely as yours. Are you printing a pattern for us? Have brush will paint. I don't have a toolbox, but I do have a Garden Tools box. It is kind of cute with seed packets and garden tools painted on it. But, not nearly as pretty as yours!